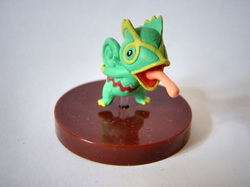 " Kecleon is capable of changing its body colors at will to blend in with its surroundings. 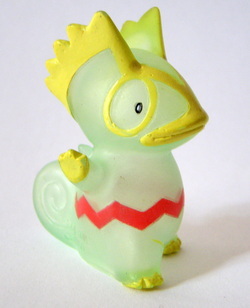 There is one exception - this Pokémon can't change the zigzag pattern on its belly." 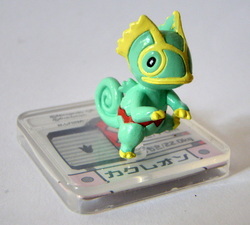 In 2010, I developed a love for Chameleons. 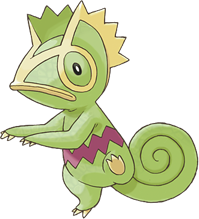 So logically, in turn, I developed a major love for the Chameleons Pokemon cousin as well! He's quite the unique little fellow. It does bug me a little how the official art forgot his back spikes, BUT WHAT CAN YOU DO. Back spikes or not, Keckers is such a star. 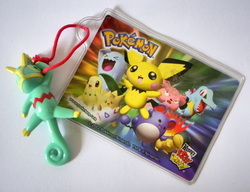 Kecleon is one of my many favourite Pokemon, though unfortunately his merch is somewhat... difficult to find. Lucky my good friend rocket_chick decided she didn't want hers any more, so I snapped it up. SO, THIS POSE? SO MUCH CUTE. Ahh, kids. Making Pokemon look 5 times cuter since 1996. And this little guy is certainly no exception! There's also a clear Kid out there somewhere. This kid's a little worse for wear, with some paint chipped from his lips. I'm tempted to see if I can fix it. For some reason, this one reminds me of those creatures you can see the insides of, since the faint red is all bodily organ looking. But in the cute way. 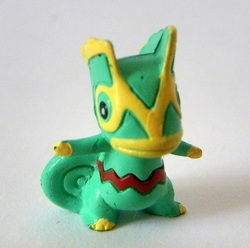 Pokedex figures, the Gen 3 answer to Full Colour Stadium figures. Seems Keckers is trying sneak away all sneaky style. That or he's grooving out to a vibbing jam. A funny little saluting Keckers from Wendy's; as in the ice cream store Wendy's. Such a cute little guy though. But my GOD that gigantic tag is inconvenient. FINALLY I FOUND OUT WHAT THIS LITTLE GUY IS. 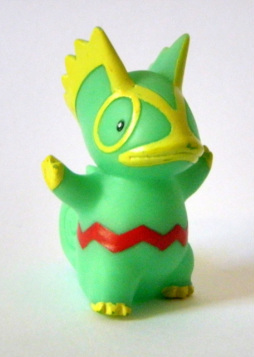 He came from a a little playset from Tomy, with a variety of gen 2 and 3 Pokemon. And man is it ever little. Perhaps 2cm (A little less than an inch) tall? Idk, but IT BE LEETLE. That's why it looks a bit scrappy by the way. Its small flaws aren't really that noticeable in real life. 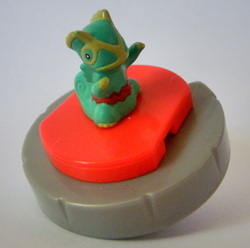 A cute little figure perched atop a spinning top! This came with its launcher, but for the life of me I can't figure out how to get this spinning.